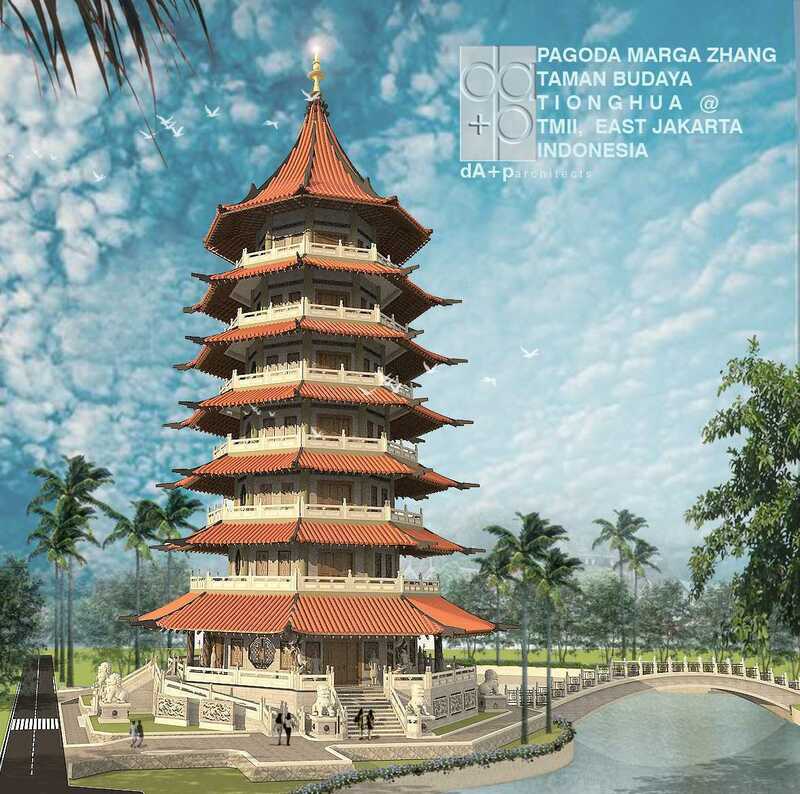 This Project is commissioned to dA+p studio by the family tree of Zhang Family Clan around the globe with majority to those whom stay in Indonesia. 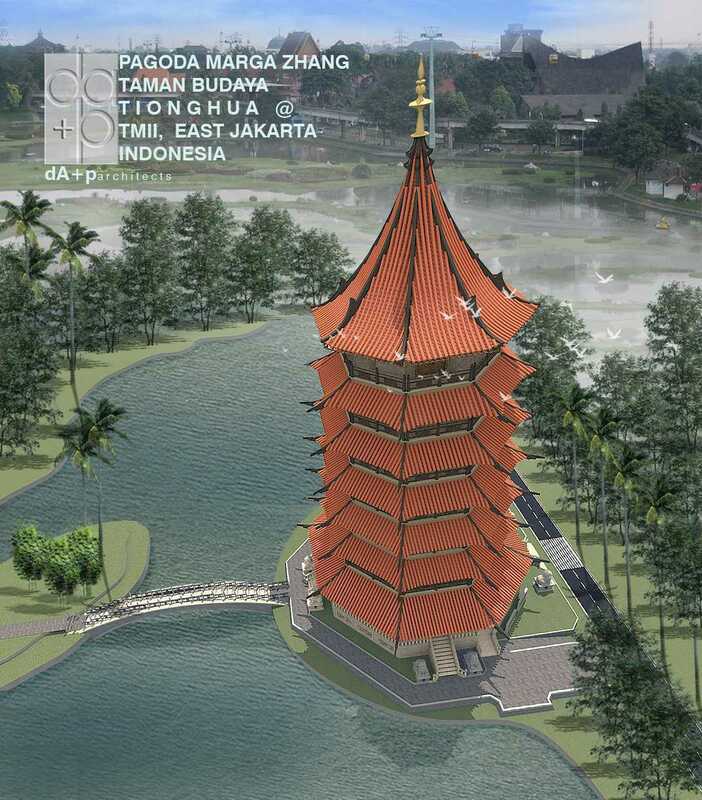 Few Decades back, inside the Amazing Indonesia Miniature Park or TMII ,our late 2nd President had dedicated one location for Indonesian Chinese Culture Park where as developed as other vernacular Indonesian architectural and culture. 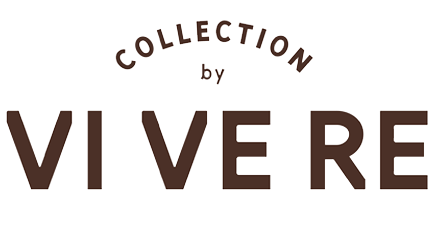 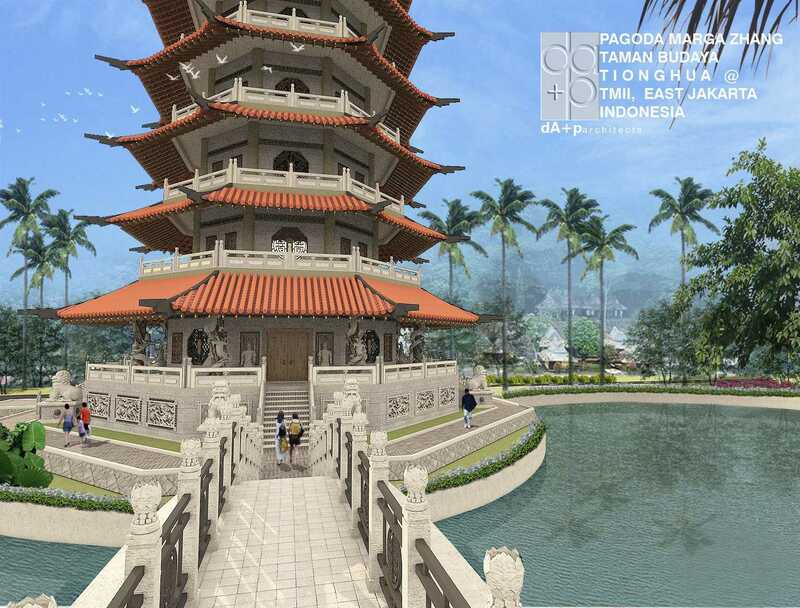 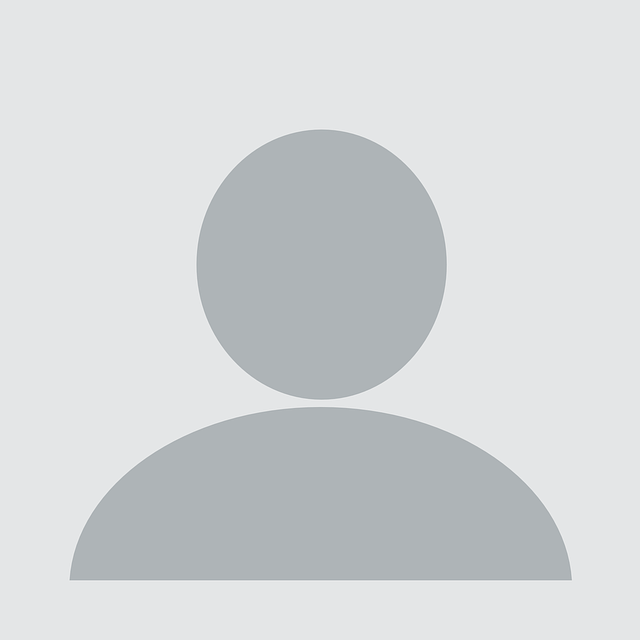 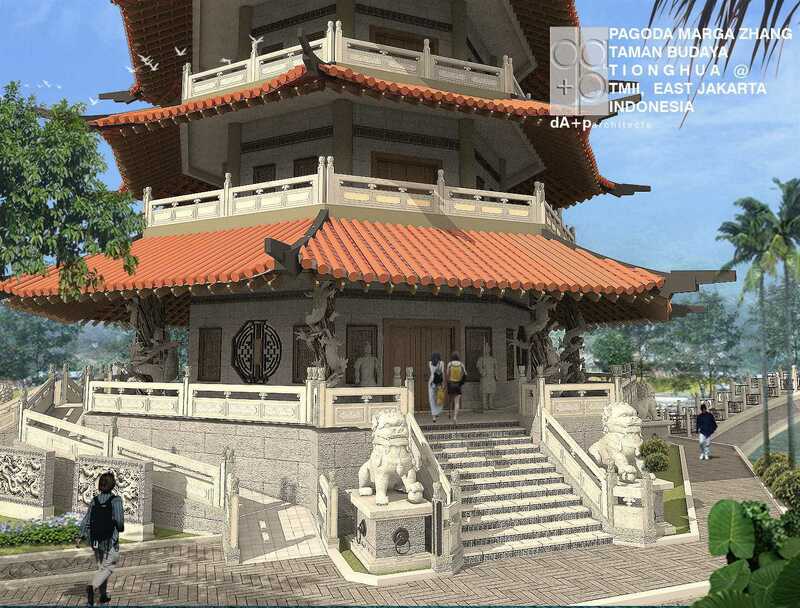 This Park will contain heritage and culture of Indonesian-Chinese people over centuries. 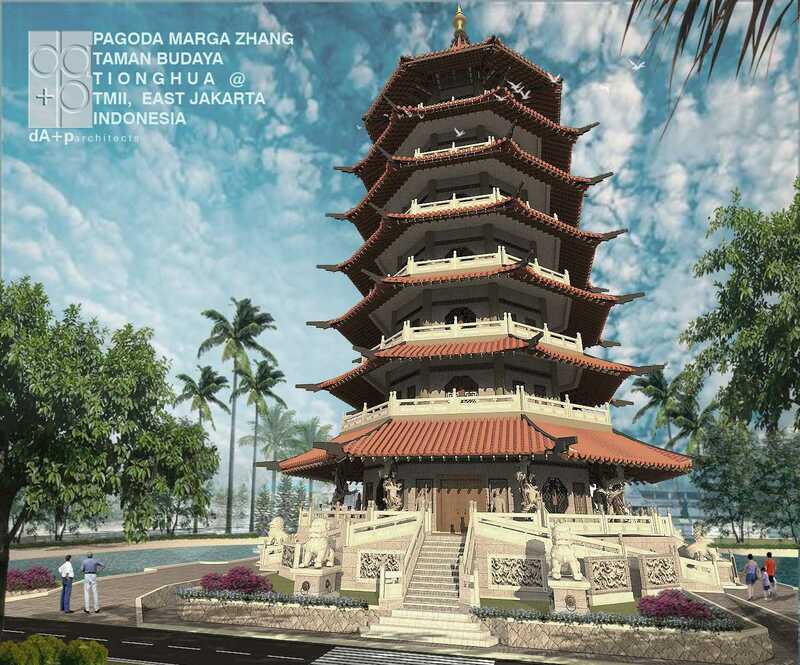 One Particular spot was dedicated for this 7th storey Pagoda which will be built by Zhang Family Clan.